Sorted - Only change I didn't mention as a result is that Fire & Ice have taken 3rd from Force Indian Takeaway. Since I am occupied by my work, an early prediction. Edit: Since the Ferrari's will both receive grid penalties, I've altered my prediction (in time for the deadline). Last edited by GPG on Fri Oct 23, 2015 10:58 am, edited 1 time in total. Bah. I am getting frustrated with the lack of variety of true contenders. Last edited by Jenson's Understeer on Fri Oct 23, 2015 7:38 am, edited 1 time in total. Banker prediction in case I don't get a chance after FP1. Yes, I'm feeling bold right now! So predicting a Hamilton DNF, then? Just saw the Vettel penalty. I'm going to take a leap and change my prediction since the deadline has not passed yet. I just hope that the Williams don't stink in the wet. Possible rain and Ferrari grid drops make this a tough one. Let's gamble! Well, well - the grid drop for our usual #3 boy and the prospect of rain has certainly mixed this up. Would I be correct in guessing these may be the most varied predictions all year? I hate risking Bottas for P3 in the wet, but then again what good is a competition without a bit of risk. Bring it!!! I still can't believe the most exciting race of the season produced the same frikkin' podium as always! Congratulations Hamilton, and congratulations to the status quo! Sigh. Can we just pretend I didn't make this post?! So all we need to keep F1 exciting is a monsoon, the 2nd best car on pole, best car chasing and a wild pony coming from the back. Best race of the year. After I made my last minute switch to put Bottas in P3 if felt a sense of dread that lasted right up until the race started and then it got worse. Then Bottas retired and I was out of my mysery. LOL. Bloody hell what a dumb time for me to do that. Loved the race though, some real action. Even with the old 123 at the end. I'm busy this week so sending predictions early. I'm not making that mistake a third time, no matter how boring it may be! Well that's that then. Lewis Hamilton is now officially the world champion of 2015 and what better backdrop is there than a hurricane when winning your third WDC? After a hectic race (my personal favourite of the season so far) we found ourselves with a familiar sight as Sebastian Vettel took 3rd spot just behind Nico Rosberg who just about manged to hold on to second, but it was Lewis Hamilton who won once again taking his title in style. So for our championship that meant a decent haul of points. Saz, Mayhem and coulthards chin take the round win correctly guessing a all three drivers and thus earning the bonus for a perfect podium. The F1 championship may be decided but ours is anything but, with the top 3 covered by just 10 points with 3 rounds to go. In the teams standings Force Indian Takeaway take back 3rd place from Fire & Ice. That place seems to change every race! Next up is Mexico this weekend. 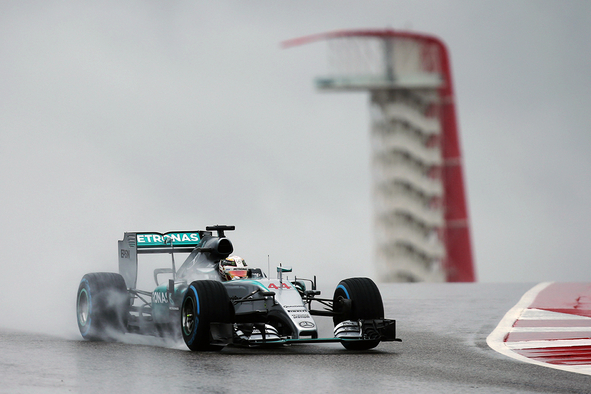 Can anyone stop Lewis Hamilton? Can Sergio Perez equal his performance from Russia and finish on the podium at his first home GP? Hamilton is due a DNF before the end of the season surely? Last edited by Black_Flag_11 on Fri Oct 30, 2015 8:20 am, edited 1 time in total.